CarGurus has 51,415 nationwide Elantra listings starting at $1,900. The 2013 Hyundai Elantra picks up where its brethren left off and shows every intention of staying at the top of the heap in the competitive and crowded field of affordable small cars. The Elantra has been around for a couple of decades and has come leaps and bounds in the last few years from the days of being a tinny and cut-rate alternative to the class-leading Honda Civics and Toyota Corollas of the world. Now the Korean manufacturer has turned the tables on its Japanese rivals, an eye-catching about-face capped off with the naming of the 2012 Hyundai Elantra as North American Car of the Year. The 2013 version, again sleek and sporty on the outside to go with a solid inside and impressive performance and fuel economy, follows suit. Hyundai hopes to ride the success of the Elantra further: It will bring out both a Hyundai Elantra Coupe and Hyundai Elantra GT as separate models. A major overhaul for the 2011 model year helped vault the Elantra and its two basic trims, the GLS and Limited, to the forefront, and minor tweaking the last couple of years has kept it there. Hyundai has even beefed up the sound of the Elantra’s horn. A 1.8-liter 4-cylinder engine, good for 148 hp and 131 lb-ft of torque, provides plenty of oomph to get the 2013 Hyundai Elantra comfortably around, reviewers say, in part because the car checks in at less than 2,700 pounds. Hyundai sends the front-wheel-drive Elantra out with either a 6-speed manual or 6-speed automatic transmission. With the help of an Active Eco System that adjusts engine and transmission parameters with the push of a button, the Elantra boasts fuel mileage estimates of 29 mpg city/40 highway. The Elantra draws praise from reviewers for everything from the design of its exterior to its ride quality to the style and comfort of its interior, though experts note it’s not as fun to drive as competitors such as the Mazda3, Honda Fit or Ford Focus. That’s one of the few areas where rivals get an edge on the Elantra, though. 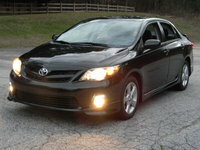 The 2013 Hyundai Elantra rates well when it comes to passenger and cargo space and is packed with standard features. The GLS gets full power accessories, keyless entry, heated mirrors, a trip computer and a 6-speaker sound system with a CD player, satellite radio, an auxiliary radio jack and an iPod/USB interface. Hyundai also rolls what were the features of its Comfort Package into standard fare in the base 2013 Elantra GLS, so it now comes with cruise control, a telescoping steering wheel and air conditioning as well as 16-inch wheels. Heated front seats are available in a Preferred Package. 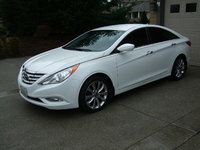 The 2013 Hyundai Elantra Limited gets a sunroof, heated front and rear seats and leather upholstery. A Technology Package for the Limited includes a dual-zone automatic climate control system with a clean-air ionizer, rear-view camera, upgraded sound system, a touch-screen infotainment interface and a navigation system with real-time traffic and weather. The Elantra comes with stability and traction control, antilock disc brakes and a full array of airbags and has received top grades of good from the Insurance Institute for Highway Safety for its crash tests, though it has not scored as well in government tests. What's your take on the 2013 Hyundai Elantra? jgppotter can't drive one foot on snow - no traction WHATSOEVER! Users ranked 2013 Hyundai Elantra against other cars which they drove/owned. Each ranking was based on 9 categories. Here is the summary of top rankings. 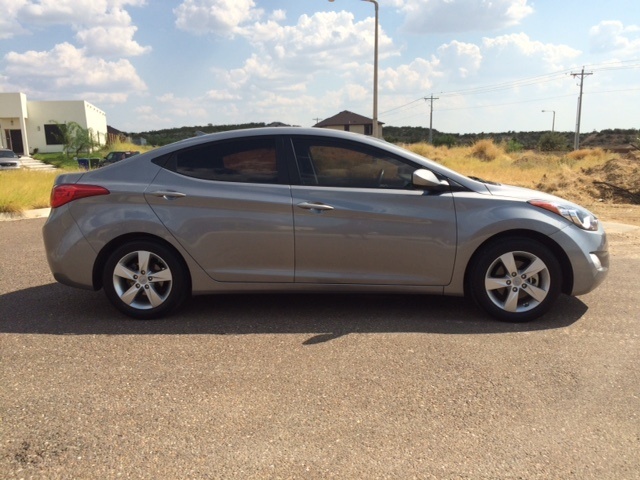 Have you driven a 2013 Hyundai Elantra? The Check engine comes on when I accelerate, but turns off when I let off the accelerator. Any ideas what it could be?